Child-free women caught my attention this week turning my five favourite things into a hipster theme. Single mom, child-free or mother of four, may every woman be content in her decisions and the cards she is dealt. Have a great week. Child-free women caught my attention this week turning my five favourite things into a hipster theme. 1. 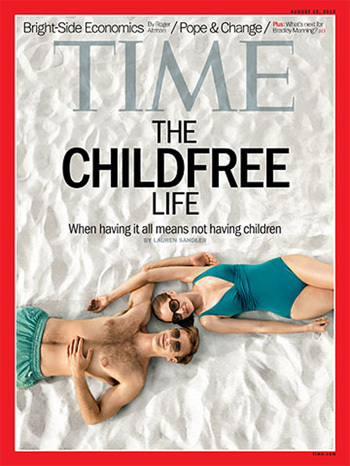 I do like to keep up with the controversial Time magazine covers, and this week didn't disappoint because they presented us with a mom topic again. This title The Childfree Life: When having it all means not having children, certainly sparked interest and debate on the mommy blogs. Most of them sounded something like this: 'I have a newborn and a toddler, Time magazine. These happy beach people aren't helping.' The debate about whether or not child-free women are selfish or not is alive and well, in a time when motherhood has gone beyond the social norm of being 'natural' to being glamourized by celebs like Angelina Jolie and Victoria Beckham having such large families. 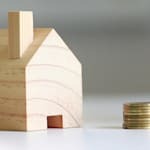 It's certainly an interesting topic and it's not an easy society for child-free women. Still, the birthrate is reportedly declining, according to the article. When I look at that cover I just keep wondering, if they have everything, where are their towels? 2. The yuppie couple depicted on the cover of Time surely only eat artisanal foods and live in clean homes with white sofas where there is no clutter and everything is in its place. They stay at small hotels, not large all-inclusives. They're called hipsters, I think. And they would probably like to have a stamp like this one. Just to make their mark. And for the record, I wouldn't mind one either. 3. They would definitely like this video of Jimmy Fallon and Robin Thicke singing Blurred Lines. Who wouldn't? 4. There is no question in my mind that this couple would put their hands up to try a tasty lab-grown burger. Why not? 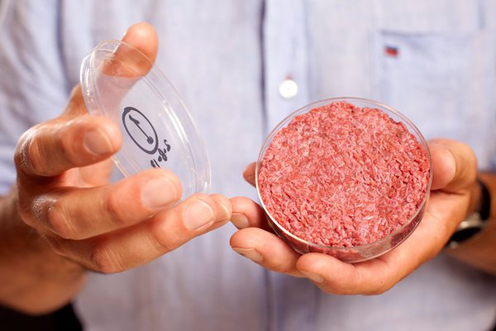 They took two years to grow this burger from stem cells. Apparently it has no fat and is very high in protein. The argument in favour of this kind of meat is that most of the environmental and animal welfare issues related to conventional livestock production can be avoided with it. But despite that, I feel kind of sick every time I think about it. 5. One thing I do know is that these hipsters would miss out on cuddling with their kids while watching a family movie -- and that's something we would never give up, despite all the order, glamour and beachi-ness of the child-free life. 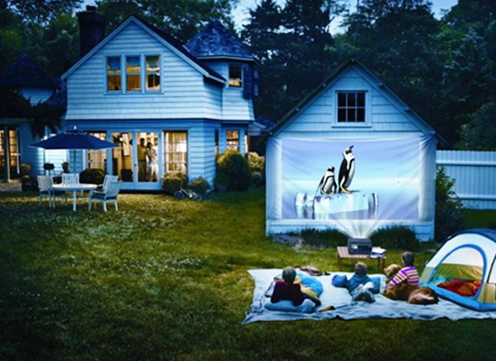 Sarah recently test-drove the Epson PowerLite Home Cinema 750HD Projector for a backyard movie night. It was as easy as hanging a bed sheet on the fence, bringing around the patio furniture and plugging the laptop into the projector. The picture quality was incredible (it even offers 3D viewing) and her family loved being outside with the stars twinkling above, the happy kids munching on popcorn all cuddled up and cozy. Single mom, child-free or mother of four, may every woman be content in her decisions and the cards she is dealt. Have a great week.